(3 - 5x7 openings) Bold and sleek, Arial is sure to stun. 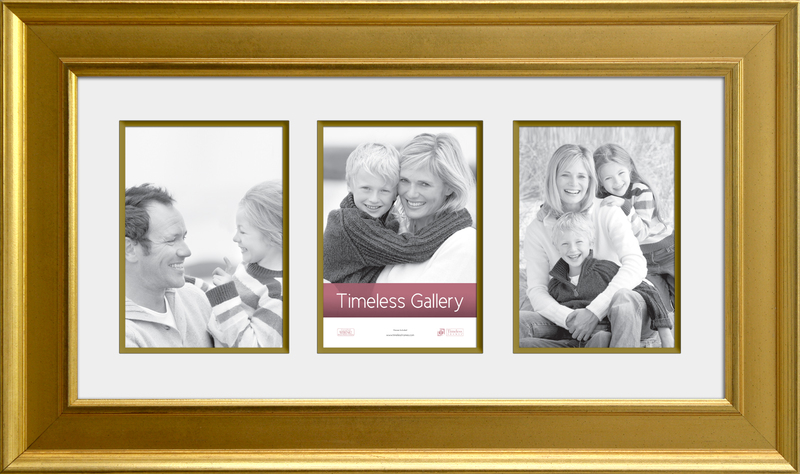 With its striking gold shine and sophisticated matting, this frame adds grandeur to any artwork or photograph and a touch of elegance to any décor. This frame is made of Polystyrene.